For over twenty years, Spectrum has made it their mission to showcase the best and brightest creators of fantastic art from around the globe in an annual publication. 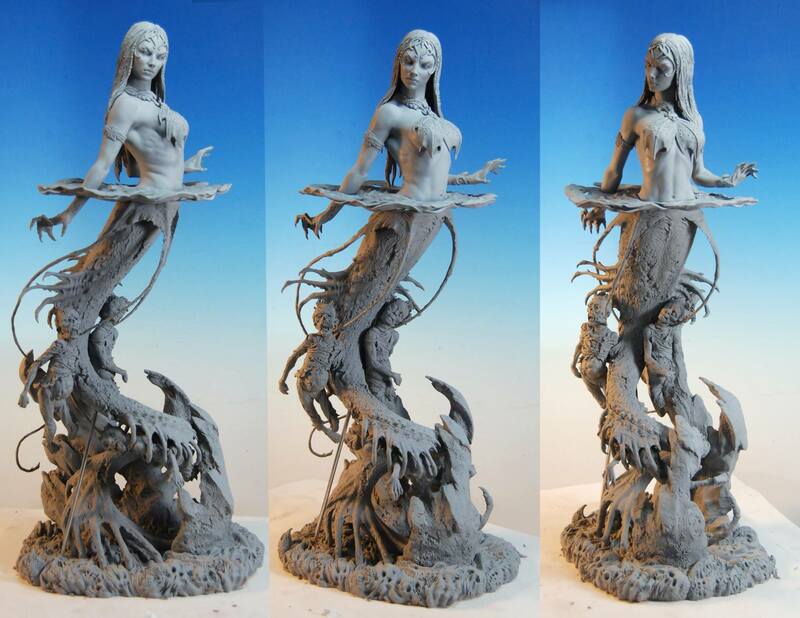 This year, we are proud to share that from hundreds of entries, the nominees for the Spectrum 22 Dimensional category include Court of the Dead designer and sculptor Mark Newman, for his work on Gallevarbe Death’s Siren from our Premium Format Figure collection! Winners will be announced at the Spectrum 22 Awards Ceremony held in conjunction with the Spectrum Fantastic Art Live event in Kansas City, Missouri on Saturday, May 23 2015. Good luck Mark – Rise, conquer, rule!